This page was originally created to save me having to hunt down the drivers for my Epson Perfection 2480 Photo. Every time I upgrade distro I loose my scanner driver and firmware. So this time, I decided to create this page to keep everything I needed in one place. I make it public in the hope that it will help someone else. First of all, you need to install software. I use the sane scanner software, with graphical environment provided by xsane. We also need snapscan, which is provided by the libsane-extras package in Ubuntu. This means that the computer can see the printer. If you don’t see this, check that your scanner is correctly connected, etc. For the Epson Perfection 2480 Photo, the required firmware is esfw41.bin. You can download it by clicking here. Save this somewhere you can find it; your home directory or the system temporary folder, /tmp. Just as long as you can find it. Also be careful because although the guide refers to the file all in lower case, MediaWiki (this site’s CMS) has a tendency to capitalise the first letter. Hunt through (or search with CTRL+W) for firmware line, and then change it to reflect the path of our firmware. Save the file (CTRL+X; ‘Y’ to accept changes). In the preview window, press the Acquire Preview button and the scanner should whirr into action. 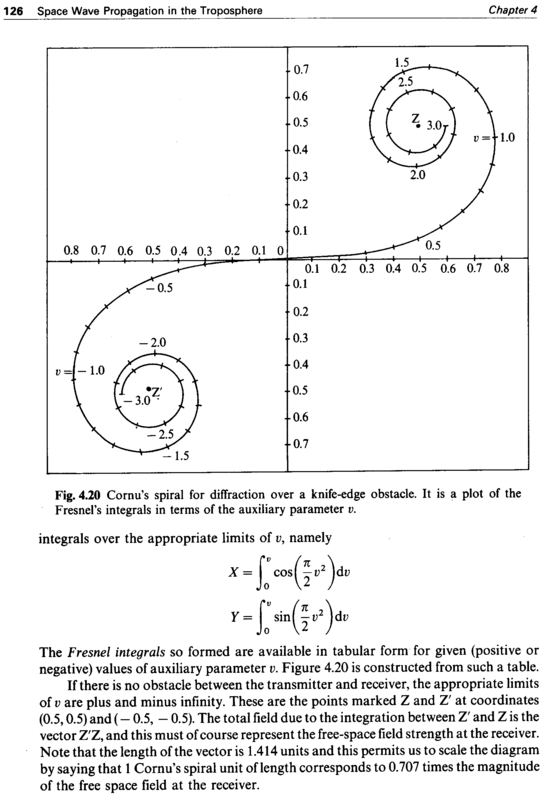 The first image I scanned, below, is from the book “Radio Wave Propagation and Antennas: An Introduction” by John Griffiths, page 126. It was the first image I scanned in after writing this page. The image is a PNG image at 300dpi in black and white. â Fresnelâs integrals in terms of the auxiliary parameter v.
negative) values of auxiliary parameter v. Figure 4.20 is constructed from such a table. vector ZâZ, and this must of course represent the free-space field strength at the receiver. of the free space field at the receiver. It is important to note that the formulae and graphs are ignored, as you would expect. I was impressed.